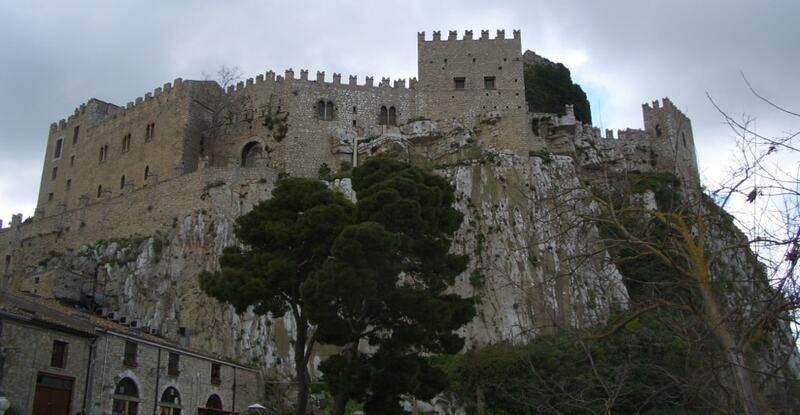 Castello di Caccamo is among the largest and best preserved Norman castles in Sicily, and one of the largest in Italy. The castle is built on a steep cliff, 521 metres above sea level. It overlooks the surrounding countryside, including the San Leonardo River Valley, and the Rosmarina artificial lake. Today, the castle is open to the public. A restaurant is located on the ground level of the castle, while other parts of the structure are also used for conferences and meetings.